NASHVILLE, TN — Vanderbilt University is inviting its alumni and supporters to play a leading role in expanding its world-class faculty with the Chancellor Chair Challenge, a yearlong, $30 million investment by the institution designed to create 30 new endowed chairs. Vanderbilt Chancellor Nicholas S. Zeppos announced the initiative at Thursday’s fall faculty assembly, pledging a million-dollar match from the university’s endowment for each chair gift of $1 million or more made by June 30, 2018. The chair challenge calls on alumni, parents, friends, families and other donors to play a prominent and enduring role in Vanderbilt’s tradition of a first-class faculty by establishing an endowed chair, which provides a faculty member with secured funding to advance research and discovery. Vanderbilt has added approximately 200 chairs over the last decade and currently has 420 endowed chairs. Two donors have made significant gifts to kick off the challenge. • A gift from Theresa L. and Robert S. Reder, JD’78, of Long Beach, New York, has established the Enterprise Chair at Vanderbilt Law School. Bob retired from Milbank Tweed Hadley & McCloy in New York City in 2011 following a 33-year career in corporate law. He is currently a professor of the practice at the law school and has been a member of the school’s Board of Advisors since 2010. In 2016, the Reders also committed to establish a chair at the law school through a bequest. They endowed the law school’s Enterprise Faculty Fund in 2013. • A gift from Jennifer and Andrew Hoine, BA’96, of New York City has established the Andrew and Jennifer Hoine Chair in Economics at the College of Arts and Science. Andrew Hoine is a partner, co-portfolio manager and director of research at Paulson & Co., an alternative investment manager. The couple has also endowed a need-based scholarship in the college. 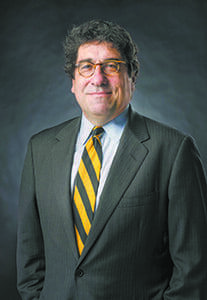 He is a member of the Board of Visitors at the College of Arts and Science and serves as a VUconnect career adviser. The Chancellor’s Chair Challenge runs through June 30, 2018.